My America was parked in my foyer all last winter. I'm single so I can do that! Last winter I rolled my America into my front foyer and had it inside for the season. That was really cool because all winter long I was able to satisfy my motorcycle jonesing by polishing a piece of chrome or tinkering with the bike whenever I had a free minute. 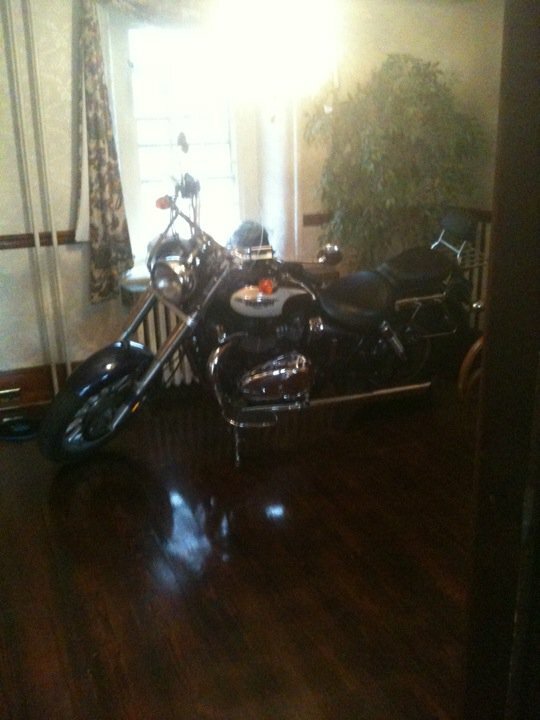 But the Rocket III is too big to fit through the front door, so it’ll stay on the porch this winter. On another note one of the guys I was riding last Sunday with went down. I didn’t see it happen but came around a bend and saw his bike laying in a roadside ditch with him struggling to get out from under it. He was VERY lucky – nothing broken on either him or the bike. He rode away and finished the ride without incident. He had come around a curve and hit the smallest patch of dirt you can imagine, but it was enough to make him slide right off the road with his Kawasaki Ninja 600. Good reminder of how important it is to scan the road constantly and never discount the ability of obstacles – even seemingly insignificant ones – to take you out. Also a good reminder of the importance of gear. He was riding ATGATT and had on a full face helmet, armored riding pants, jacket, and gloves, a good pair of riding boots. As a result he escaped unscathed. 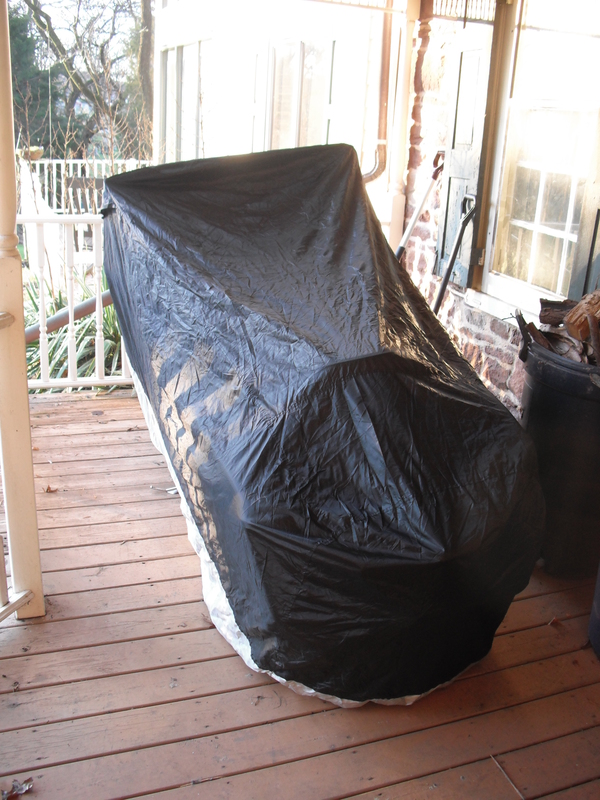 The Rocket, packaged up and stowed on the porch for the winter.